I’m Ed Smith, a Camarillo California personal injury lawyer. I’ve been working to help both injury victims and their loved ones since 1982. I assist people with serious personal injury cases and/or wrongful death only. If an accident has injured you or left someone in your family with serious injuries, please give me a call at (805) 372-0200 locally for free, friendly advice. I have called California my home since 1970 even though I hail from Brooklyn, New York. I am quite fond of visiting the Camarillo area during my time away from the office. Camarillo and the surrounding area is filled with some fascinating history. The city holds around 65,000 people. 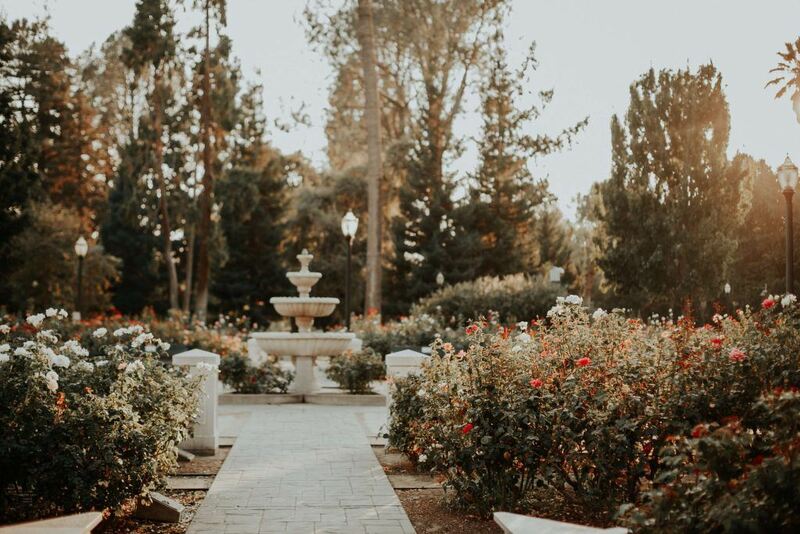 Nestled in Ventura Country, Camarillo is home to some beautifully restored buildings that give you a sense of days past. Also if you are looking for a popular hub for shopping in Southern California, you can find a great Saturday farmer’s market in Old Town Camarillo. If you are injured in a vehicle crash along the Ventura Freeway, a taxi accident near the Camarillo Ranch House, while walking around one of the many parks in the city, or anywhere across Ventura County, do not hesitate to give me a call. It can be quite challenging to find the right personal injury attorney. It is often stressful to deal with the aftermath of an injury to yourself or a loved one. Having to search through the many attorneys that are listed from a simple Internet search can be overwhelming. The easiest way to get a good idea about the qualifications of any law firm is to look at social media. Lots of attorneys want to attract the attention of anyone who is interested, so they use social media and websites like Yelp, that allows clients to write reviews. However, some law firms in the Camarillo area have very few reviews on these websites. The high quality of service that my office offers clients has always been a source of pride for me. I am always ready to embrace reviews on social media platforms, and currently, have a 5 star out of 5 rating on Yelp. Anyone interested can also review my Google profile, which has positive feedback from a diverse range of clients. I am honored to consistently receive such high ratings, and you can confidently expect to receive top-notch service from my office as we handle your personal injury case. Along with social media and websites like Yelp, AVVO ratings are a good tool to use when considering a personal injury attorney. Unlike some other review websites, AVVO gives you unbiased reviews because all lawyers are evaluated with the same metrics. The ratings are based on a mathematical model that incorporates information about lawyers that can be found publically. There are some personal injury lawyers in the Camarillo area who have very few AVVO reviews. On the other hand, I have numerous reviews, and overall, a perfect 10 out of 10 rating. You should heavily consider the presence of actual client testimonials when you pick a personal injury attorney. Client testimonials give you great insight into the skills that a particular firm can offer you, especially if they come from a variety of mediums. People like you have left me a variety of detailed written, audio, and video testimonials that I hope demonstrate the professional service that my office provides to clients. The best lawyers in their field are found writing and speaking about what they do for the public at large. Have the lawyers you are considering published articles about their work? Can you watch them speaking on the news? My publications include articles about auto accidents, personal injury and motorcycle injury cases. Some of my past clients have received recoveries that total from $300,000 all the way up to $25 million. Taking a case to trial can be expensive, so you want an attorney that is willing to always spend what is necessary to ensure you obtain a just verdict or settlement. You can find my past verdicts and settlements on my website, and you can also read about my admission to the Million Dollar Forum. I’m always happy to befriend and connect with other lawyers in the community. I’m a lawyer in good standing with the California State Bar, and I am currently active in a variety of other legal associations. My work is always professional and highly focused. Some of the cases that we tackle include serious motor vehicle accidents, products liability (as a result of a design defect), premises liability (slip and fall accidents), and cases dealing with wrongful death. Watch the YouTube video below for more information on how to really choose a personal injury lawyer. Q: Do you know of a good chiropractor in Camarillo? A: Below is a chiropractor in the area with great reviews. Q: Do you know of a good auto repair shop in Camarillo? A: The repair shop below has some good Google reviews. Q: Do you know some of the most dangerous intersections in Camarillo? A: These have some of the highest incident rates. Ventura Bl & Camarillo Center Dr.
I’m Ed Smith, a car accident and personal injury lawyer in Camarillo. Call my office immediately at (805) 372-0200 or (800) 404-5400 if you or someone you love has been injured (or has passed away) in an accident. We are here to give you free, friendly advice. I’ve been assisting Camarillo families with their personal injury and wrongful death cases for over 3 decades. Look up my reviews on Yelp, Avvo, and Google.